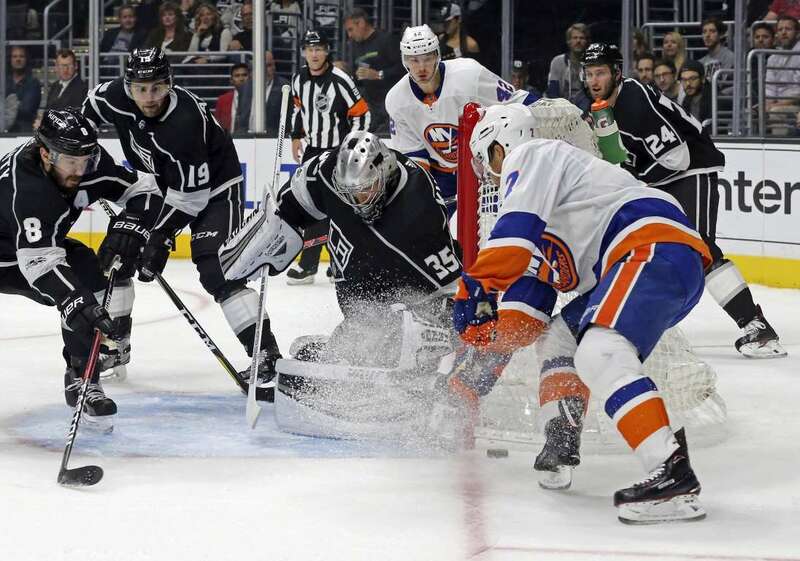 The Islanders' Jordan Eberle and the Kings goalie Darcy Kuemper battle at the goal on Sunday in Los Angeles. The Kings won 3-2. Net battle The Islanders' Jordan Eberle and the Kings goalie Darcy Kuemper battle at the goal on Sunday in Los Angeles. The Kings won 3-2.